I’ve only just discovered Marisa Raniolo Wilkins’ blog, All Things Sicilian and More, but I’ve had great fun reading about her passion for food, especially the cuisine of Sicily, the island of her birth. Marisa spent her early childhood in Trieste before moving to Australia with her Sicilian parents, but clearly the childhood memories have never left her. She is, by all accounts, a generous home cook who is passionate not only about using fresh produce but also about sharing her knowledge of food and its traditions. 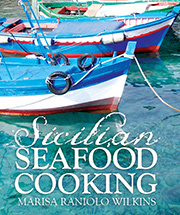 Sicilian Seafood Cooking by Marisa Raniolo Wilkins. Her mother’s surname was Leone, or lion, and there’s a Sicilian proverb that, loosely translated, says “every dog feels like a lion in his own house”. Marisa describes herself as a lion in control of her own kitchen and she is certainly a fierce advocate of Sicilian cuisine and culture. 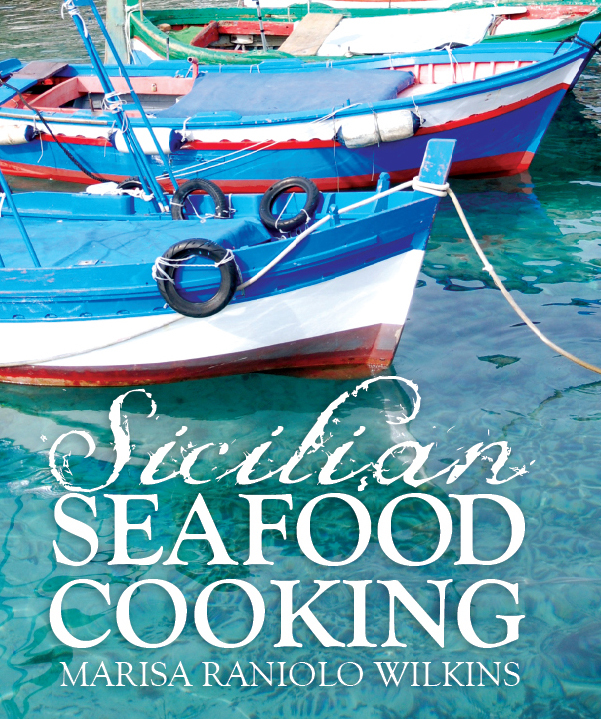 So much so that she has now produced a beautiful book, Sicilian Seafood Cooking (New Holland, $45) celebrating the great diversity of Sicilian food and the role that seafood plays in both Sicilian cooking and its economy. Not only does she draw on her own personal recollections and family traditions, she also takes readers on an historical journey, showing how the cuisine has been shaped by Greek, French, Arab and Spanish influences. 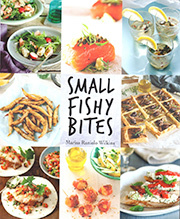 She canvases some of the issues around the sustainability of seafood, and there are some wonderfully evocative illustrations of dishes and Sicilian scenes. 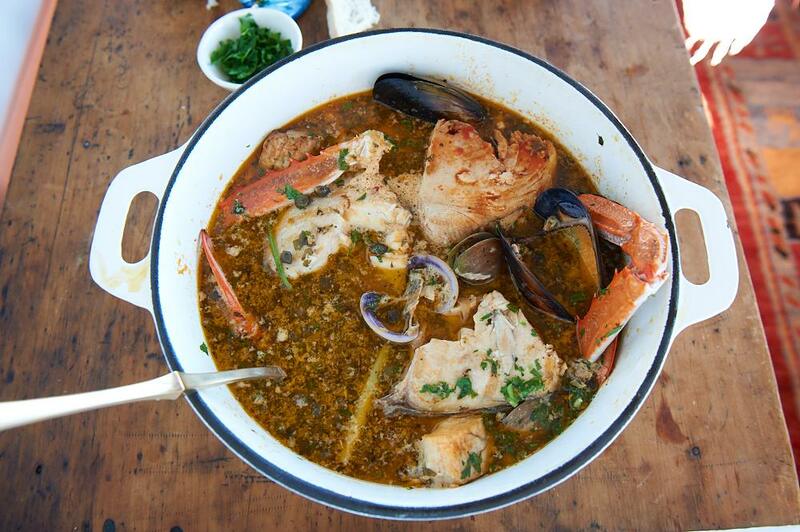 But it’s the recipes, along with the huge number of immensely knowledgeable tips and suggestions, that are the real star, and if you love seafood, you’ll be delighted as I am to join in her culinary journey. baked, leaving the fish undisturbed so it does not break up. yourself and use the heads and bones for the stock, or make the stock from fish carcasses. Cut the boneless fish into chunks. Clean shellfish, molluscs and squid and cut the squid into mouth-sized pieces. Arrange the fish in an ovenproof pan that will fit all the ingredients. 200°C oven for 30 minutes. To find out more about Christine Salins click here.